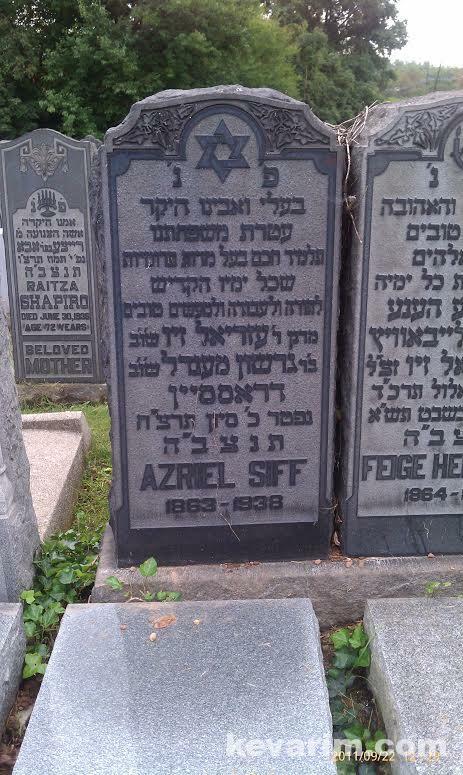 The Ziv/Siff family was a big Lithuanian Rabbinic Dynasty descending from Reb Ezriel of Kovno. His father was the Schochet in Rasien, Lithuania and also gave a Shiur for Balie-Batim in the “Chai Adam” Klauz. 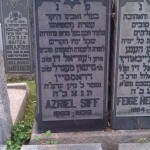 Tha rabbo today in the Chasam Sofer shul in the Lower East side is named Rabbi Azriel Siff, his father Rabbi Yeshaya Siff is the Rav in the Young Israel shul of Manhattan on East Broadway. There aren’t that many people who spell my name this way. Most spell it Ezriel. I am researching my possible family connection to this Siff family. My email is yellowtshicken@gmail.com. I would be interested in knowing about who his siblings were. Is anyone posting here aware of whether or not this family is connected to the Kelm (Chocham Tvi) or Novardok Ziv families?